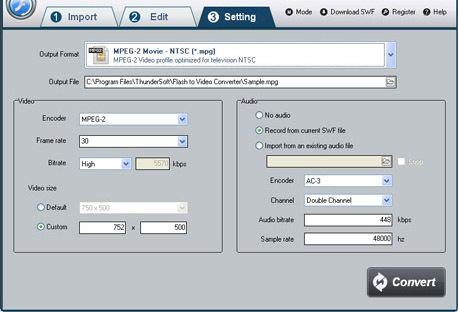 > Support > User Guide > How to use SWF to MPEG Converter? 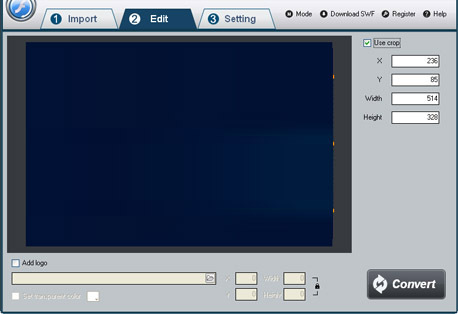 On "Setting" page, select MPEG-2 NTSC or MPEG-2 PAL as output formats from the drop-down list of "Video Format ". NTSC's frame rate is 30fps, Pal is 25fps. 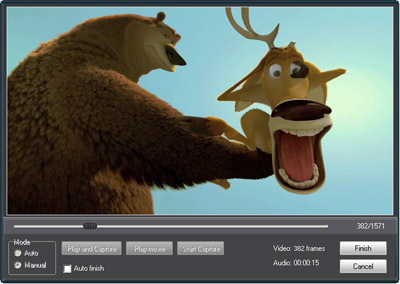 Then select destination folder for converted mpeg file and you can set the video bitrates, higher video bitrate will get better output quality.